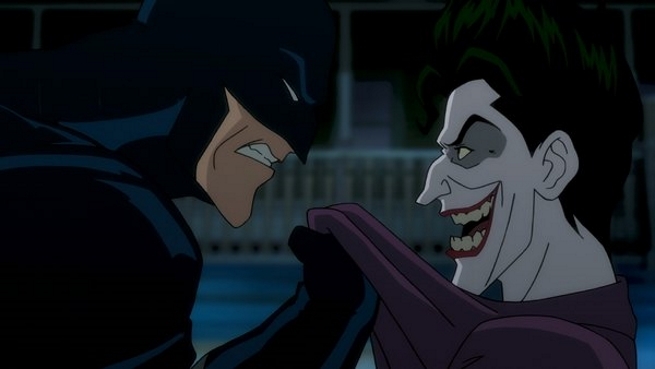 Home Comics First still from Batman: The Killing Joke Animated Movie released! First still from Batman: The Killing Joke Animated Movie released! After months of silent teases and just that confirmation that the two legendary actors would lend their voice talents to the characters once more, Mark Hamill took to Twitter and officially released the first still from the upcoming “Batman: The Killing Joke” animated movie, which is based on the critically acclaimed graphic novel of the same name penned by Alan Moore and illustrated by Brian Bolland and will feature Hamill reprising the role of The Joker and Kevin Conroy as Batman! From his official Twitter feed and via Comic Book Resources, Hamill started belting out quotes from the fan favorite story, while spelling out “THE KILLING JOKE” along with the first image from the new DC Universe Animated Original Movie, which shows Batman confronting and gripping The Joker by his collar. Having worked together as Bats and Joker since Batman: The Animated Series and then reprising the roles for the Batman Arkham video games, Kevin Conroy and Mark Hamill are seen as the definitive voices of Batman and The Joker respectively. In fact, Mark Hamill “retired” from the role of The Clown Prince of Crime, and only returned because The Killing Joke was finally adapted AND he’d be working with his friend Kevin Conroy once more! 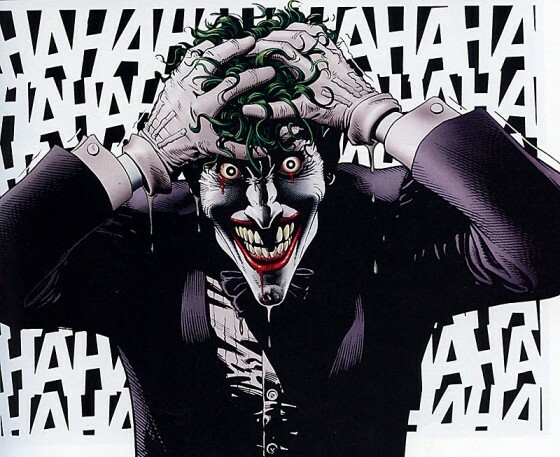 The Batman: The Killing Joke animated movie will make its premiere on this year’s San Diego Comic Con first before hitting home video and digital media. The film will also feature Tara Strong voicing Barbara Gordon/ Batgirl, and Ray Wise as Commissioner Gordon.